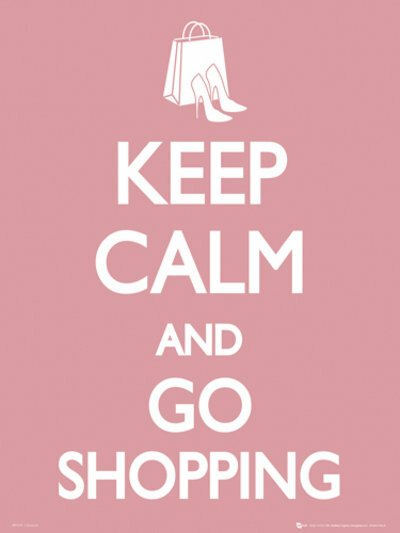 B U B B L E G A R M: Guide to sale shopping..
DON'T DO IT! By that I mean London high street shops, just after Christmas the shops are overcrowded and full of angry bargain hunters. The good stuff are snapped up by the sales staff or the early birds, everything is a total mess and you wont be able to find your size. The ques are ridiculous to pay, try something on or even get into the shop. It's just a whole confused mess. But if you insist, (sometimes I do) be prepared. Don't go shopping in the obvious areas the first 3 days of the sale, it's just too much to handle, plus once the preliminary stock has sold the rest will be marked down even more. Go early in the morning, everything will have been sorted out the evening before and you will be able to find what you want. Don't wear too many bulky layers. Wear something simple and comfortable so it isn't a mission to try something on. ALWAYS wear flat shoes, I see some girls in heels and just look puzzled. ALWAYS wear a cross shoulder bag, keep it small and neat. Only carry what you need as the last thing you want is something going missing. Don't do impulse buying just because it's on sale, do you really need it? Do you have something similar? Only buy it if you love it that much and you would have paid full price for it, that way it really is a bargain. Always check the actual size matches the label, there will be a lot of mismatch labelling. Make some lunch at home, perhaps some sandwiches as the ques to even get something to eat is ridiculous at times, also keep hydrated by drinking plenty of water. If in doubt, shop online. How do you fight the crowd? I didnt go this year :-/ really depressive. Feels weird :) Love ur tips! SO did u go this year? very good points! i avoid sales like the plague! I'm like a bloke when it comes to shopping, plan plan and get out as fast as you can! I used to work for Topshop in their Oxford Circus store, and one Xmas sale - it was early in the morning (so say 10am) my first customer passed out at the till points - as she said - she wanted to get to the sale as fast as she could - she skipped breakfast! Great post & great tips!! Definitely helpful after the holidays! i can't stand crowds so i generally just don't go. I'm going to brave the shops tomorrow, not really looking for sales though, due to the bad weather this is my chance to spend my Boots points on a Christmas treat for myself. Poss 1-2 items from Chanel, now that would be a treat - for me anyways. True said Mushine! I went Lakeside yesterday and it was a stamped there :S Hardly got anything coz I am not someone who is able to fight crowds. No idea why I went lol. Great tips I totally agree! MY BF goes to London every year & she said London has great clothes but theyre super expensive! So yea I go to the American Apparel Factory Sale every year in Downtown LA & its crazy, & all of those tips apply! That is the only time I will fight the crowd, bc the prices are too darn good! I mean something $40 will be $7 @ the sale! Def my favorite shopping event! I've tried to avoid the sales this year as I find it so hard to find anything in my sizes (shoe: 3, dress: 6) ! ..Very good tips for those who shopping ..I hate sales , it's just total madness around ..
o kadar işime yaardıkı bu yzdıkalrın.